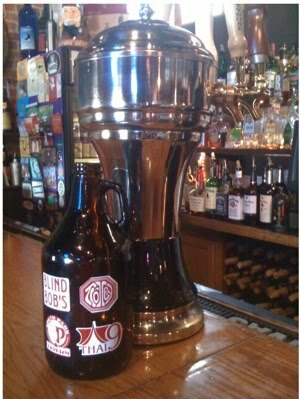 South Park Tavern, Thai 9, Trolley Stop, and Blind Bob's are offering a Growler co-op. For 10$ you can get a growler which is a 1/2 gallon container that then you can get filled with brew. If you have been to any of these locations you know they have quite a few beers that are hard to find anywhere else in the Dayton area. Check it out.